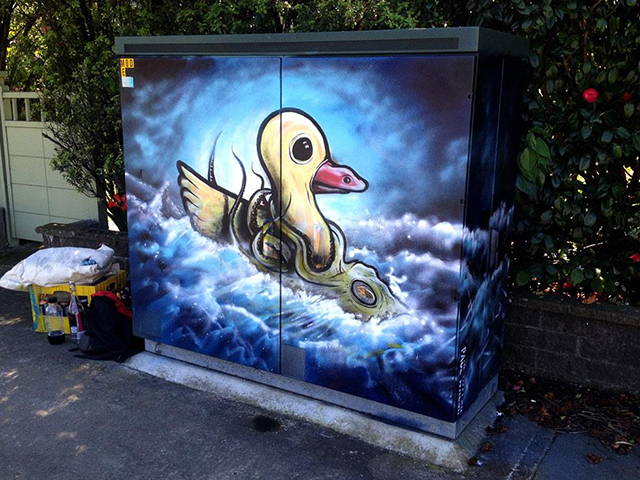 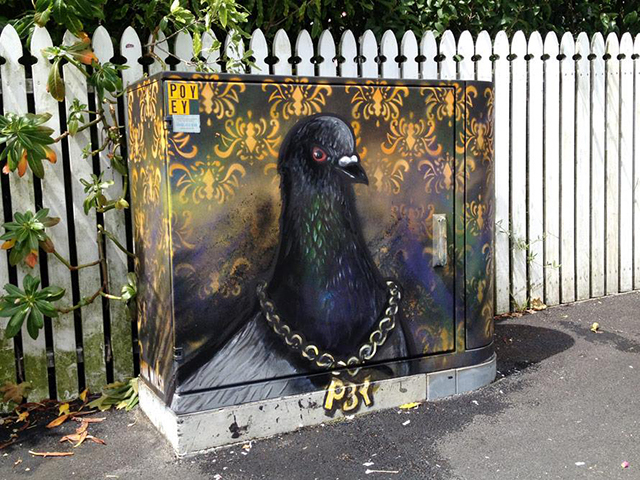 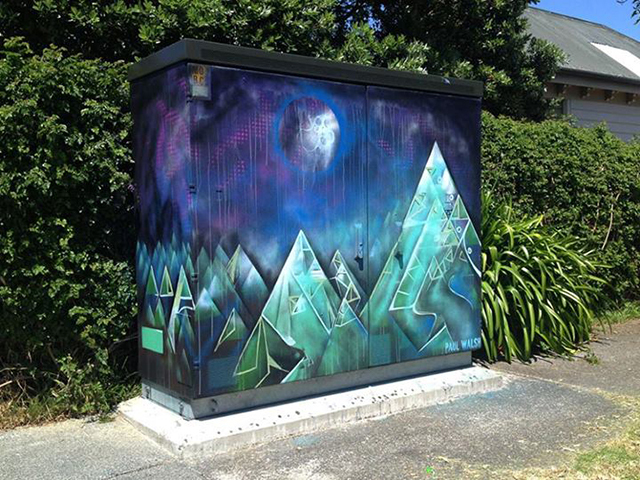 Graphic designer and street artist Paul Walsh was given permission by Chorus to paint their telephone utility boxes around Auckland, New Zealand. 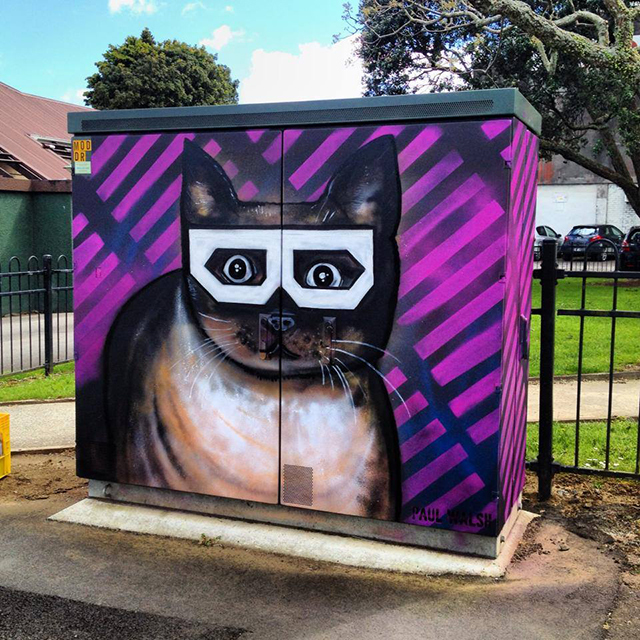 They contacted Paul through the newspaper after word got out about a great Grumpy Cat piece that he did. 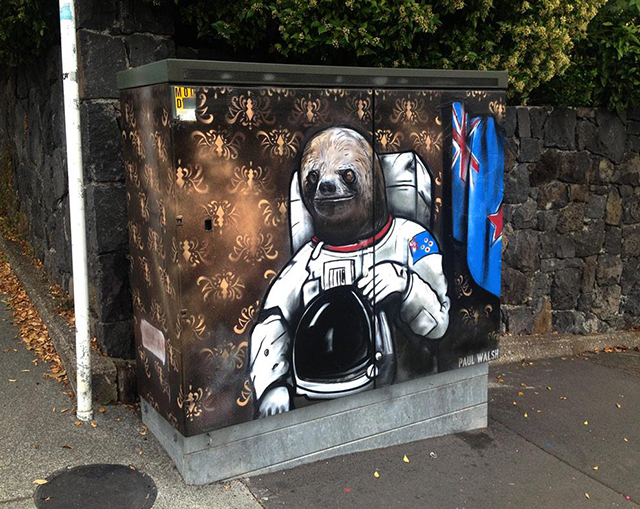 Since they couldn’t pay him for his work, Paul used the crowdfunding platform PledgeMe for donations.